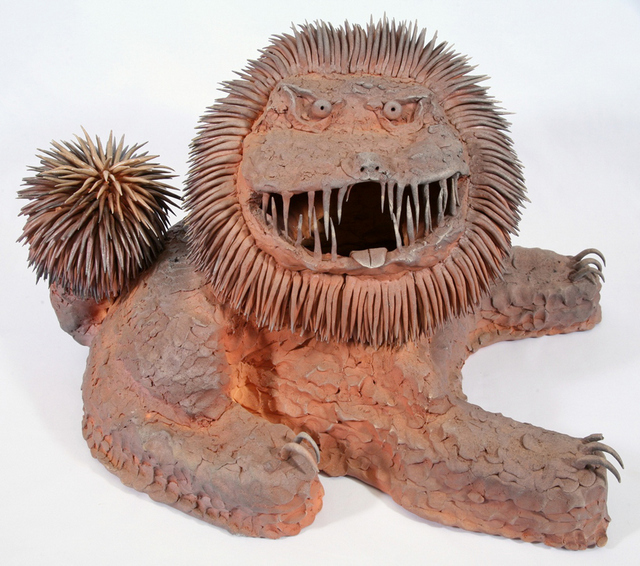 Okinawan lion by Ryosuke Otsuji 2010. Image courtesy Wellcome Collection. Untitled by Shinichi Sawada 2006-10. Image courtesy Wellcome Collection. Apple of Rabbits by Satoshi Nishikawa 1991. Image courtesy Wellcome Collection. 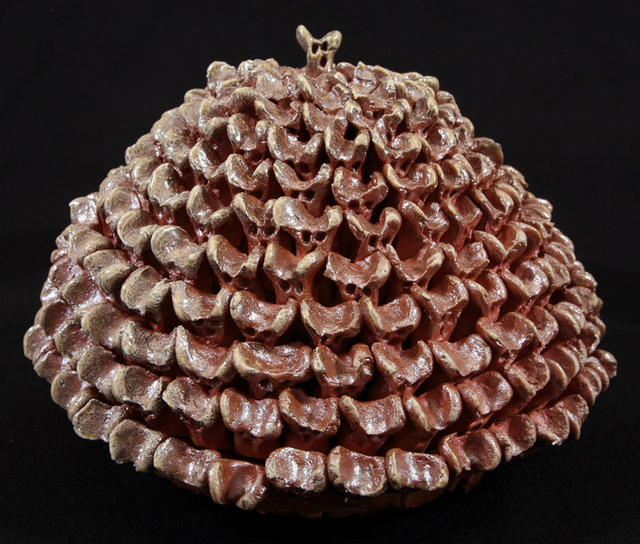 The Wellcome collection is normally associated with excellent exhibitions that revolve around science and amazing facts about Brains or Dirt; but their latest show embraces the creative world by exploring Outsider Art from Japan. This exhibition consists of works created by day care centre residents who've all been diagnosed with cognitive, developmental or behavioural disorders. 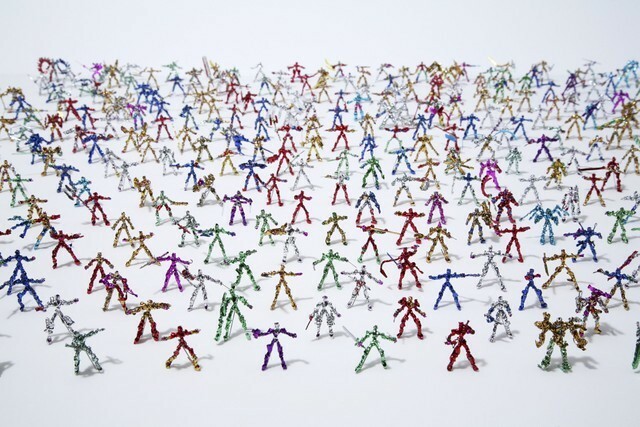 The works range in quality from decidedly average to massive intricate landscapes and the ingenious use of twist ties to create miniature action figures. Some of these works could easily sell for thousands but that's not the point here. These artists have no commercial incentive to create art, nor is it part of their therapy. So is this artistic expression in its purest sense, with no ulterior motives guiding it other than the desire to create? 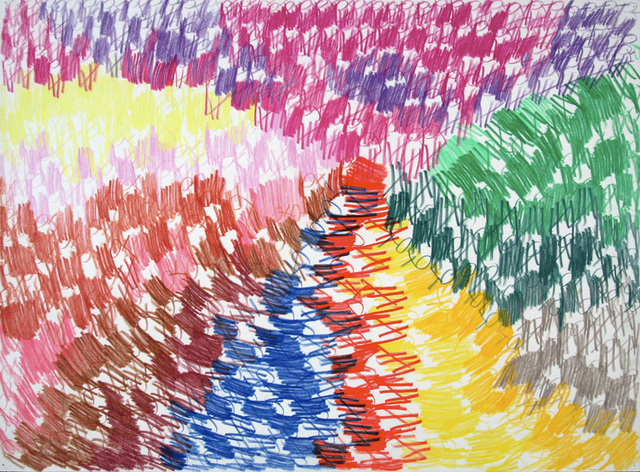 Should Satoshi Morita's frenzied knitted works be as highly regarded as Abstract Expressionist paintings by Jackson Pollock? Is there more emotion and tension in Koichi Fujino's dark and minimalist paintings than in Maroon on Black by Rothko? These are questions that visitors will ask themselves but this show never explicitly asks them to think about - a missed opportunity in our opinion. This exhibition is unusual in its very loose narrative — there is purposefully no message. Some visitors will feel liberated, others perhaps unfulfilled by this approach. It also makes for a very difficult show to review. On pure artistic merit, it's all over the place, but to wow the visitor with talented creations was never the goal. However, it did make us think long and hard about the very nature of art and the creative process, thus making for a challenging and stimulating display. 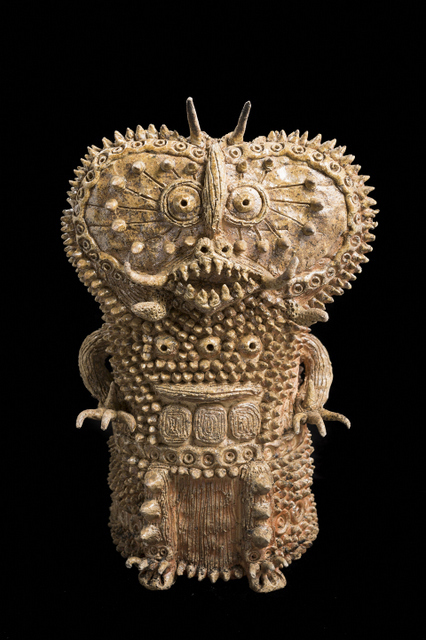 Souzou: Outsider Art from Japan is on display at the Wellcome Collection, 183 Euston Road, NW1 2BE until 30 June. Admission is free.